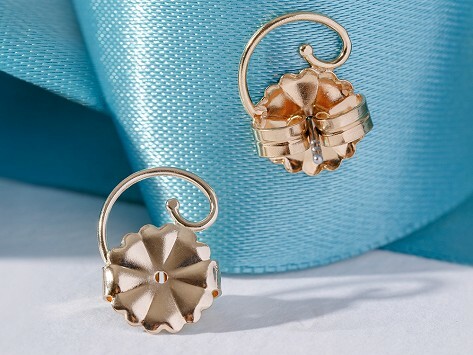 These gold-plated sterling silver earring lifts keep heavy studs and other sparklers upright and secure. They offer added support at the back of your ear and are a great solution for stretched out holes. Just swap out your standard post backs to prop up your favorite pair.